The organisers of the Mid Antrim 150 have applied for an early April date as they seek to resurrect the national road race in 2016. The event was missing from calendar in 2014 and 2015 because of financial limitations but is set to return as the first race of the season next year. The organising club have applied for Friday 1 April and Saturday 2 April as its dates for next year. A new title sponsor, JFM Haulage, has been acquired for the event. Traditionally, the Cookstown 100 has been the first race of the Irish road racing season, but that is set to change next year. The April date switch has still to be ratified by the sport's governing body, the MCUI, Ulster Centre, however. The race will still be held over the 3.6-mile Clough course, although work will be carried out to certain parts of the course. 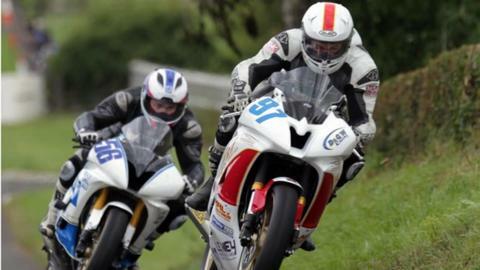 For many years, the Mid Antrim was staged in August, although a June date was experimented with in 2012, before the event reverted back to its usual August date the following season.